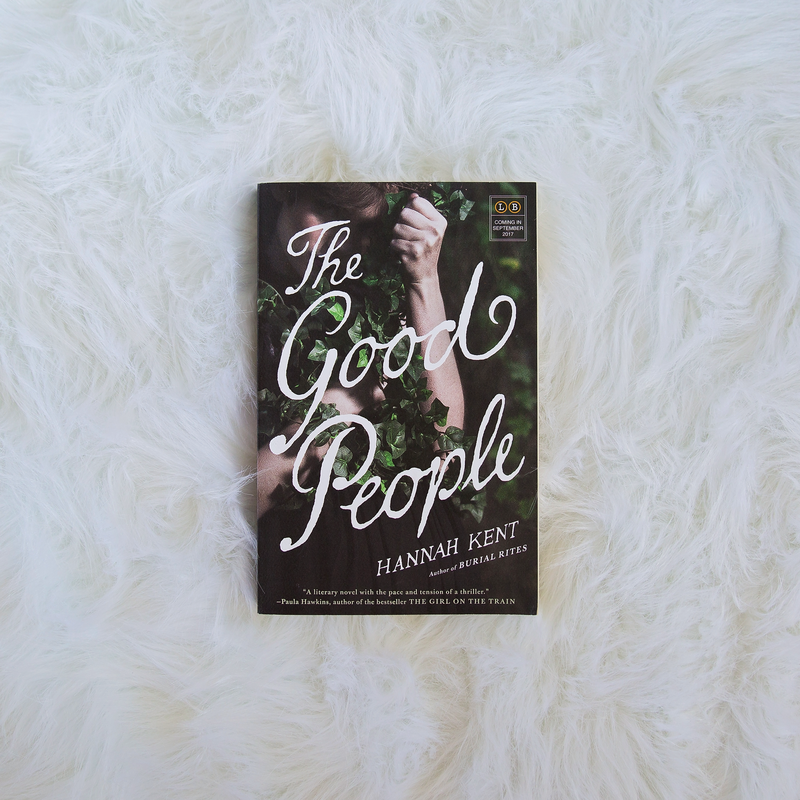 Literary fiction fans who also love historical fiction, take note…you’re totally going to want to read The Good People by Hannah Kent as soon as you can get your hands on it, and it was just released TODAY! The Good People takes place in nineteenth-century Ireland in a superstitious community that believes in the power of charms and curses and fairies, despite the protests and preachings of their new minister, Father Healy. As Father Healy’s sermons become more pointed at the elderly woman named Nance who provides them with “cures” for their many ails–and whom many believe is connected to the fairy world–people begin questioning her true motives and the cause of the hardships they recently began facing. Their questions lead them to Nora Leahy’s grandson, Micheal, a four-year-old. When Nora’s daughter died of a mysterious illness, her husband brought Micheal to Nora and her husband, Martin, to care for him. Although Nora remembers Micheal as a healthy, happy child from when she last saw him two years prior, Micheal is nothing like the running, talking, and happy little boy she knew. Instead, a mysterious illness also struck Micheal and left him unable to walk, talk, or control his body functions in any real way. Not long after Micheal’s arrival, Nora’s husband drops dead unexpectedly and the community experiences a string of devastating events. Desperate to get back the grandson she remembers, Nora soon determines that the real Micheal was taken by the fairy folk and replaced with one of their own, and she enlists the help of Nance to banish the fairy. The Good People was one of those books that I almost had to stop reading because it was far too difficult for my emotions to handle. As the mother of a child with special needs, Nora’s treatment of Micheal and the thoughts she had about him ripped out my heart. Early in the book, Nora questions Martin’s and her daughter Johanna’s deaths and wonders, “Why couldn’t God not have taken Micheal? Why leave an ill-formed child in the place of a good man, a good woman?” She seems to have no love at all for Micheal, even before she truly embraces the idea that he’s a changeling, and her treatment of him and obvious resentment toward him was hard for me to stomach. That feeling of heartbreak for Micheal never left; however, as I progressed through the book, I found myself experiencing so much more. Hannah Kent’s writing is absolutely magnificent, and her development of the characters in The Good People provides a wealth of insights into human nature and the ways we allow our convictions to falter when life gets difficult or when we lose those we love. Although Nora’s community seems to be filled with good people who look out for one another, when their cows stop producing much milk and illness and death begins visiting more often than usual, their need to assign blame somewhere and the suspicions they place on one another are woven into the primary story in subtle, yet powerful ways. Ultimately, what was most powerful for me about The Good People was the way Hannah Kent caused my heart to want to flip inside out and around itself with all the conflicting emotions I felt. I was angry at Father Healy for being so harsh on Nance, but I also recognized that his warnings were out of genuine concern for the harm that could befall his parishoners. Although I was beside myself with anger for Nora as a result of her treatment of Micheal, I also felt incredible sympathy for her mental anguish from losing her daughter and husband. And despite the fact that I grew attached to Nance and knew she always meant well and truly wanted to help people, deep down, I knew that the things she was doing were not always safe. This was true for many other characters throughout the book, but my most intense feelings of conflict came from Mary, the young woman Nora hired to help after Martin’s death. As Micheal’s primary caregiver, Mary sees him as both a burden and, at times, a joy. Although she doesn’t exactly become bonded to the boy, she struggles with seeing him as anything other than an innocent child. Her actions–or inactions, I should say–throughout the book left me completely frustrated with her, but I still felt drawn to her character and empathized with her own conflicted feelings. I’m not sure exactly what to say about this book. It was powerful beyond what I imagined, and it completely destroyed me. The idea of a disabled four-year-old boy being unloved and subjected to the “cures” he endured was almost more than I could bear, and knowing that it was based on a true story made the power of this book so much more intense. Hannah Kent’s writing is elegant and has a depth I did not expect, and now I HAVE to read her other novel, Burial Rites. Mary’s realization that “There was no telling the shape of a heart from the face of the one who carried it,” was ultimately, the point of this book for me, but Hannah Kent shows that the shape of the heart is one full of dimensions and layers and truths that are more complicated than we could ever comprehend. Posted in FictionTagged book review, fiction review, Hannah Kent, literary fiction, The Good PeopleBookmark the permalink.